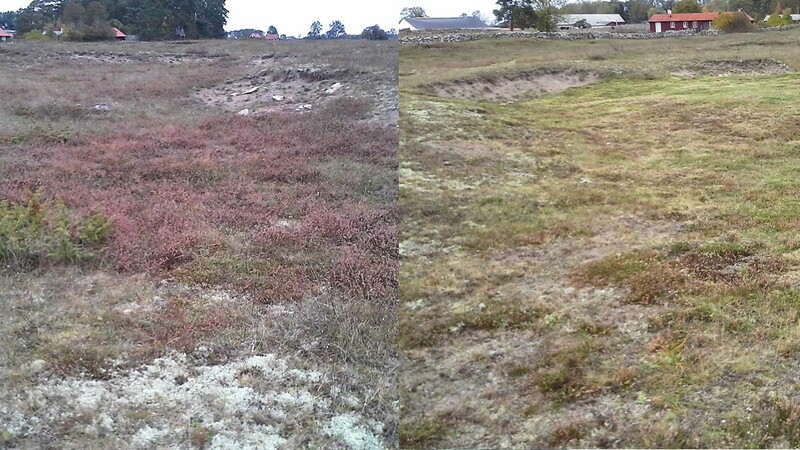 On the Baltic island of Öland, which is part of the county of Kalmar there are three project sites with xeric calcareous grasslands (EU-code 6120). In two of these sites the heather needs to be cut and removed to minimize the acidification process caused by the growing humus cover built up by the heather plants. The xeric calcareous vegetation depends on lime-rich exposed sand with high pH-levels close to the surface and a continuous cultivation. The two project-sites are Gårdby sandhed and Åby sandbackar. 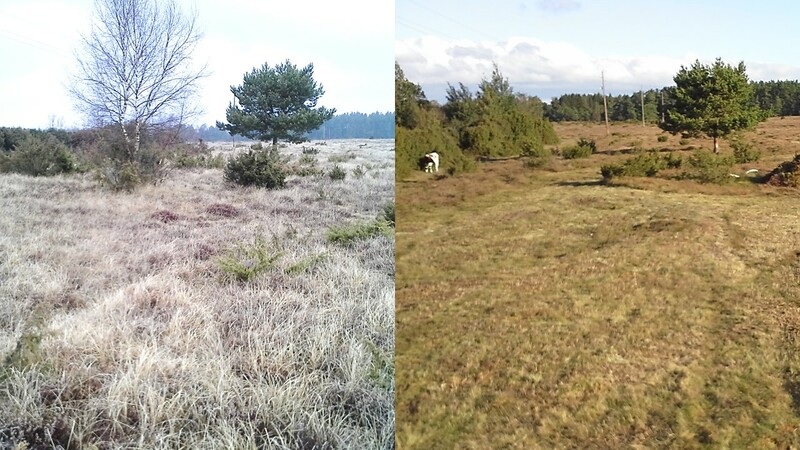 Part of Gårdby sandhed before and after management of heather and clearing of junipers and smaller trees such as birch.